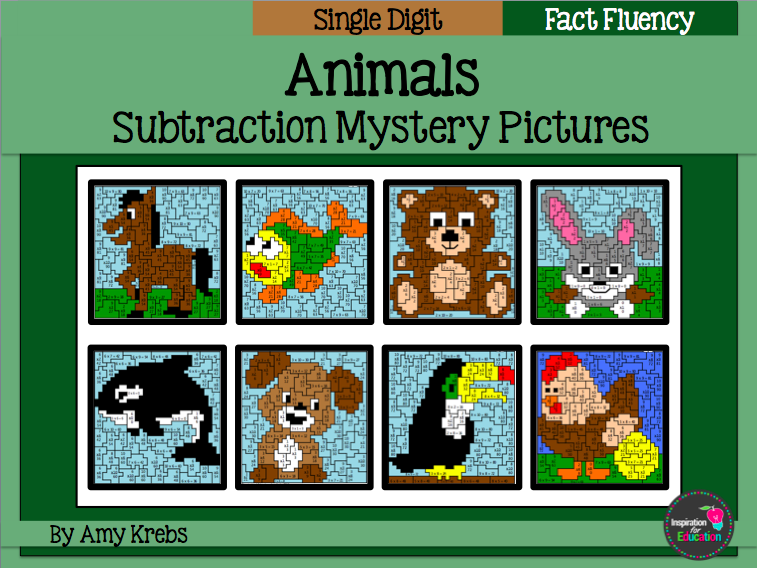 Animal Subtraction Mystery Pictures Students practise their subtraction fact fluency with these fun Animal mystery pictures. Included with each picture is a fully coloured answer key, so that you can easily see whether students are solving the problems correctly. 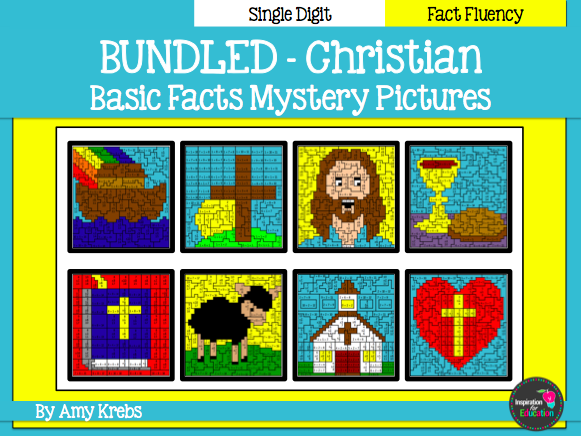 Included are mystery pictures for ... - 1 - 2 - 3 - 4 - 5 - 6 - 7 - 8 - 9 PLUS!! 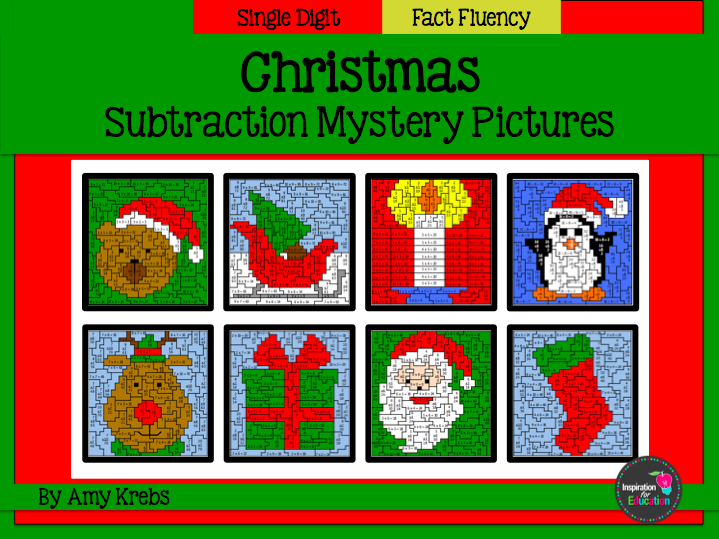 Includes 2 mixed subtraction pictures. Animals Multiplication Mystery Pictures Students practise their multiplication fact fluency with these fun Animal mystery pictures. Included with each picture is a fully coloured answer key, so that you can easily see whether students are solving the problems correctly. Included are mystery pictures for ... x1 x2 x3 x4 x5 x6 x7 x8 x9 Plus! Two pictures with a mixed assortment of multiplication problems! 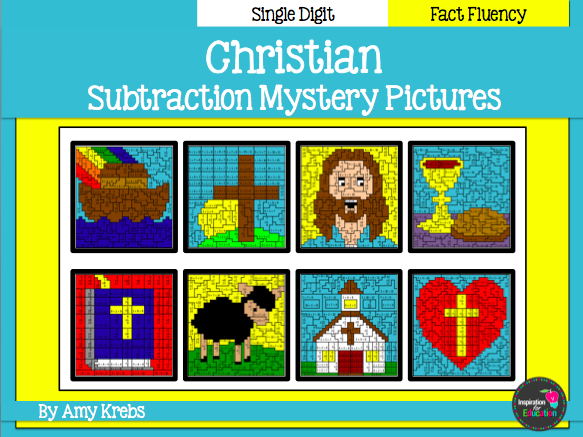 Christian Subtraction Mystery Pictures Students practise their subtraction fact fluency with these fun Christian mystery pictures. Perfect for Christmas, Easter or any time of year. Included with each picture is a fully coloured answer key, so that you can easily see whether students are solving the problems correctly. 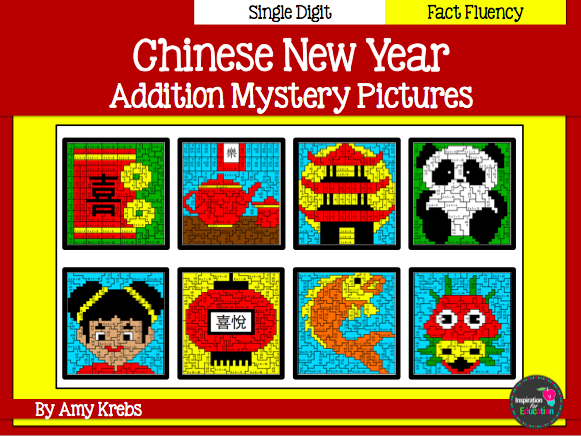 Included are mystery pictures for ... - 1 - 2 - 3 - 4 - 5 - 6 - 7 - 8 - 9 PLUS!! 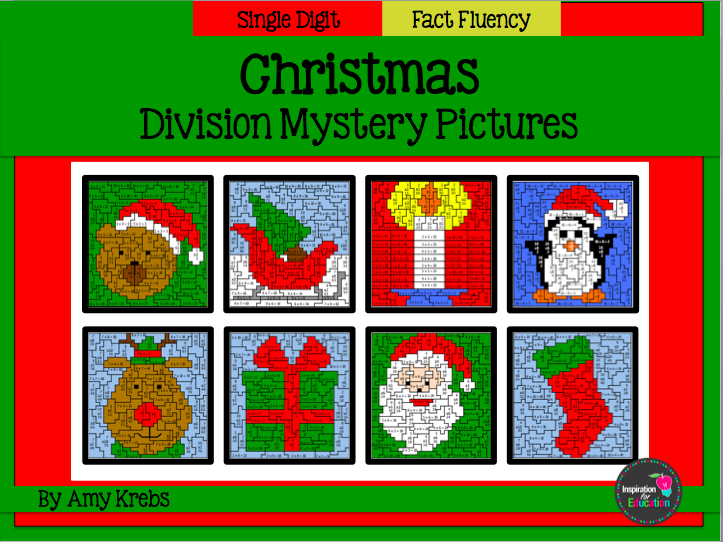 Includes 2 mixed subtraction pictures. Christian Multiplication Mystery Pictures Students practise their multiplication fact fluency with these fun Christian mystery pictures. These are a perfect addition to your Christmas or Easter season or use them any time of year! Included with each picture is a fully coloured answer key, so that you can easily see whether students are solving the problems correctly. Included are mystery pictures for ... x1 x2 x3 x4 x5 x6 x7 x8 x9 Plus! 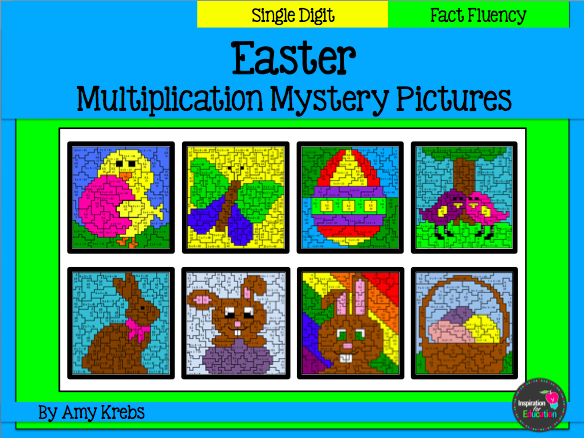 Two pictures with a mixed assortment of multiplication problems! PRODUCT DESCRIPTION Chinese New Year Addition Mystery Pictures Students practise their addition fact fluency with these fun Chinese New Year mystery pictures. Included with each picture is a fully coloured answer key, so that you can easily see whether students are solving the problems correctly. 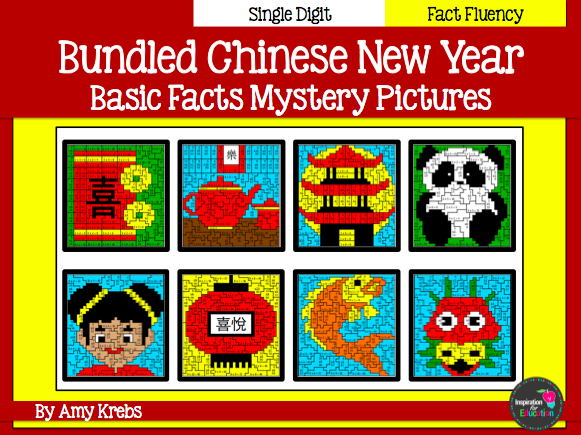 Included are mystery pictures for ... + 1 + 2 + 3 + 4 + 5 + 6 + 7 + 8 + 9 PLUS!! Includes 2 pictures with a variety of mixed addition problems. 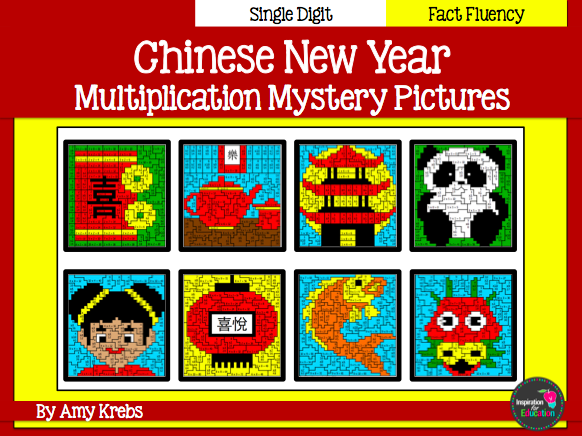 Chinese New Year Multiplication Mystery Pictures Students practise their multiplication fact fluency with these fun Chinese New Year mystery pictures. Included with each picture is a fully coloured answer key, so that you can easily see whether students are solving the problems correctly. Included are mystery pictures for ... x1 x2 x3 x4 x5 x6 x7 x8 x9 Plus! Two pictures with a mixed assortment of multiplication problems! 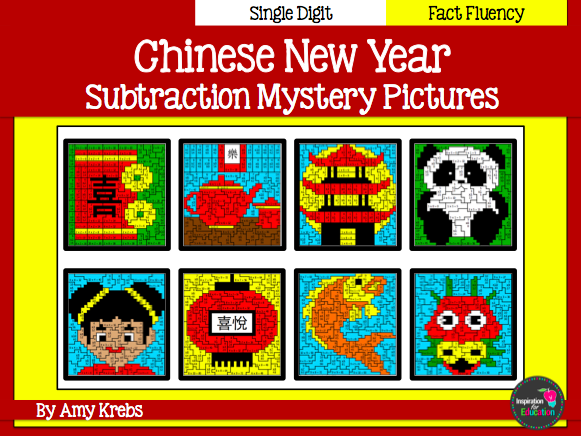 Chinese New Year Subtraction Mystery Pictures Students practise their subtraction fact fluency with these fun Chinese New Year mystery pictures. Included with each picture is a fully coloured answer key, so that you can easily see whether students are solving the problems correctly. 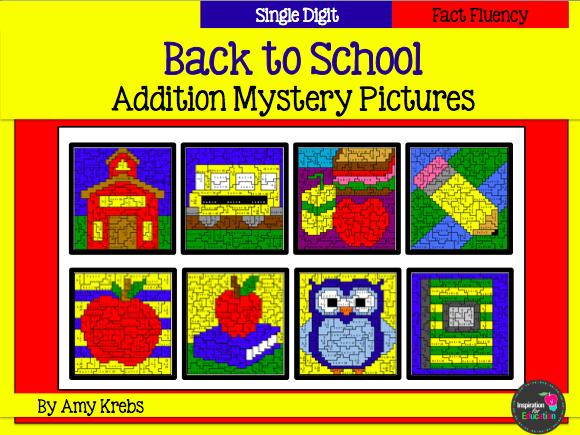 Included are mystery pictures for ... - 1 - 2 - 3 - 4 - 5 - 6 - 7 - 8 - 9 PLUS!! 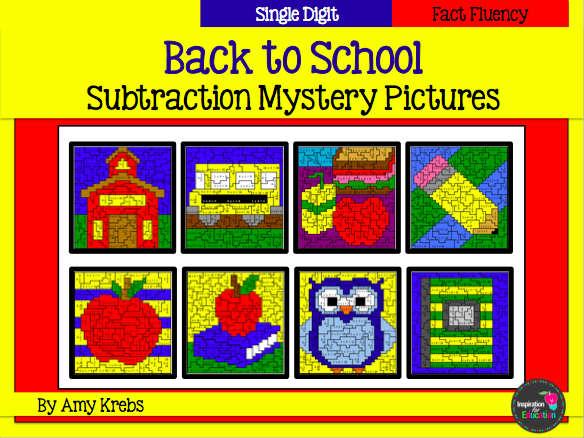 Includes 2 mixed subtraction pictures. Christian Addition Mystery Pictures Students practise their addition fact fluency with these fun Christian mystery pictures. These make great practice sheets during the Christmas or Easter season as well as any time of year. Included with each picture is a fully coloured answer key, so that you can easily see whether students are solving the problems correctly. Included are mystery pictures for ... + 1 + 2 + 3 + 4 + 5 + 6 + 7 + 8 + 9 PLUS!!! Includes 2 pictures with a variety of mixed addition problems.